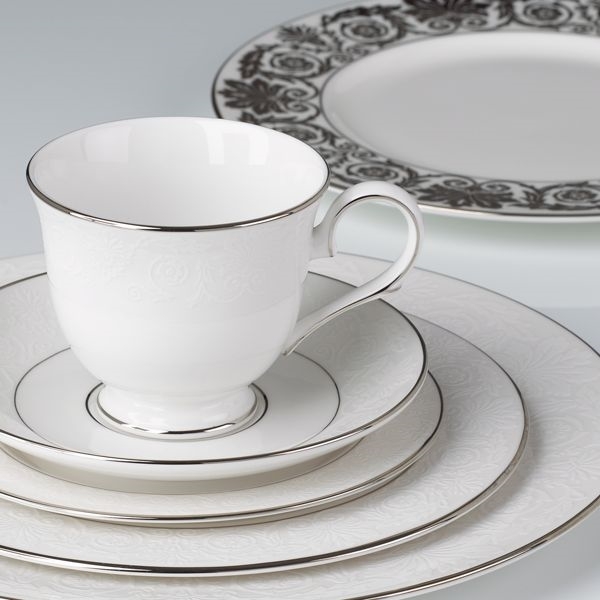 A delicate raised floral design on fine white bone china gives the Artemis 5-piece Dinnerware Place Setting an elegance reserved for extra fine dining. Bands of precious platinum complete this instant classic. Diameter: Dinner plate 10 3/4", Salad Plate 8", Butter Plate 6", Saucer 5 3/4" Capacity: Cup 6 oz.